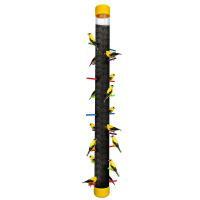 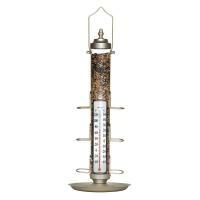 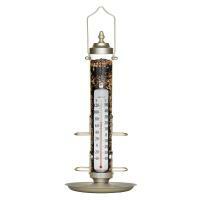 A finch feeder, also known as a tube bird feeder, is designed to attract a flock of finches to your yard. 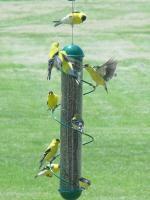 Finches are small birds that exist in a variety of different colors. 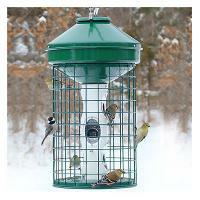 They feed primarily on thistle seed and are known for their beautiful chirping sounds. 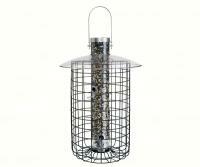 A finch feeder is a long, thin, tube-shaped bird feeder. 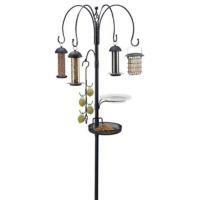 Available in a number of different styles and designs, some finch feeders have room for up to 18 birds on their perches and pegs. 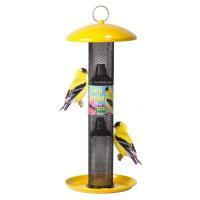 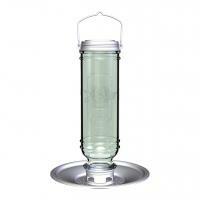 Finch feeders are available in a number of tasteful colors, from bright lemon-yellow to clear. 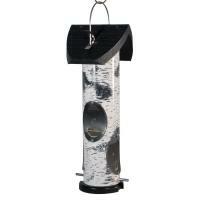 Order a finch feeder today with our fast and easy shipping, and you'll soon be enjoying the melody of finches frolicking in your backyard.